Home › Energy-Efficient LED Lighting › Solar Spotlights Outdoor Landscape Lights Yihong 8 Led 400 Lumen Super Bright.. Solar Spotlights Outdoor Landscape Lights Yihong 8 Led 400 Lumen Super Bright..
4-5 hrs Charging Time,10 hrs Lighting Time 4V*500mA solar panel converts free sun power to electricity; With built-in 2400mAh lithium battery, you only need 4-5 hours sun exposure to fully charge this spotlight and get 10 hours continuous lighting throughout the night. Upgrade 400 Lumen Super Bright LED -- 8 LEDs with brightness of 400 lumens, provide bright lights at night for your garage driveway, garden pathway, patio, landscape, pool areas etc. Waterproof and Weather-resistant-- Built with durable ABS plastic,easy to clean and no rust; with IP 44 waterproof lamp housing, you can mount this light outdoor and use it all year round. 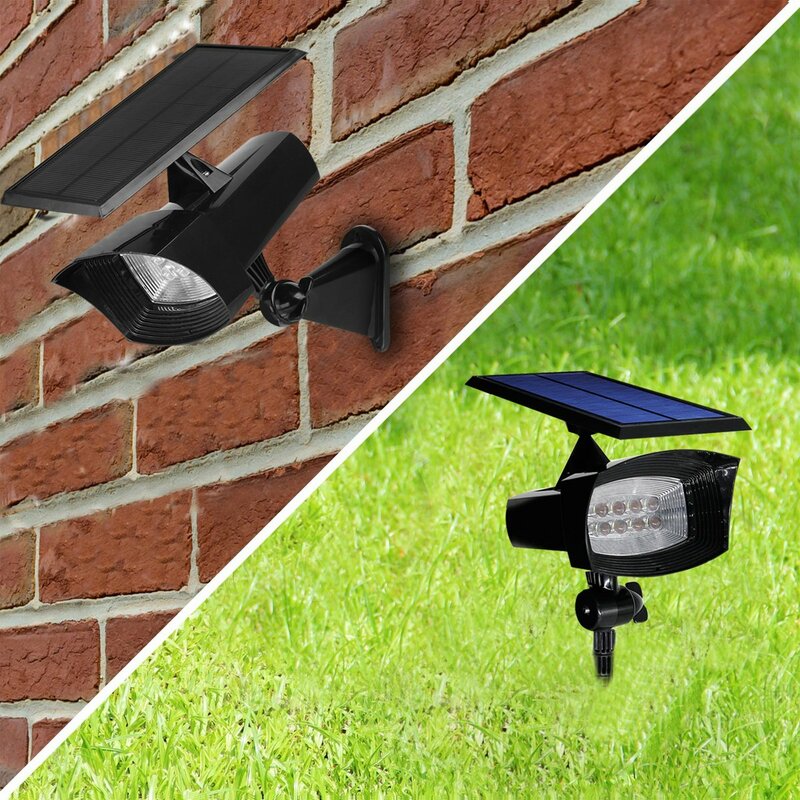 Two Ways of Installation,Wide Range of Application -- Comes with a stake as well as a wall mount; you can use it as in-ground lights for your garden lawn, pathway,pond area,or garden landscape etc. ; or as wall lights for your patio,backyard,front porch,garage driveway and so on.